Facebook and Twitter have flourished in our personal lives. But their usefulness for work is limited to advertising and other marketing activities. Engagement is through sharing of status updates, links, photos, likes, and comments. This is a decade old approach that has not advanced much. In Mark Zuckerberg’s interview for Startup School, he shows his understanding that Facebook is a social platform for building social apps. However, it is my opinion that all of the players in the social networking space do not have good vision into the future. Facebook and Twitter treat social interactions as ends in themselves. That is why they present information in a timeline, and they seek out trending topics. Information is like news that is stale after it is read. Engagement is a vehicle for targeted marketing. Google has tried to compete with Facebook, but they can’t seem to find a formula for success. The article Why Google+ failed, according to Google insiders outlines their failure to achieve mass adoption and engagement. Providing an alternative to Facebook without a discernible improvement is not competitive, because users have no good reason to migrate away from an established network of friends. Facebook “friend” relationships are more likely to be friends, family, and casual acquaintances. Facebook “follow” and “like” relationships are more likely to be public figures, celebrities, and business-to-consumer connections. Facebook is not the platform for professional relationships, work-related interactions, and business associations. LinkedIn is used for professional relationships with recruiting as its primary function. We should recognize that none of these platforms provides an application platform for actually doing work using social tools. Google failed to recognize this opportunity, as they began to integrate G+ with mail, storage, and other services. Providing a wall for posting information and comments is an extremely limited function for social interaction. It seems like no one has bothered to analyze how workers engage with each other to perform their jobs, so as to identify how social tools can facilitate these interactions to be done with improved productivity. We do see companies like Atlassian developing tools like JIRA and Confluence for assisting teams to work together. These tools recognize how social interactions are embedded into the information and processes that surround business functions. We need this kind of innovation applied across the board throughout the tools that we use in the enterprise. Productive work relies on effective communication, coordination, and collaboration. These are social functions. 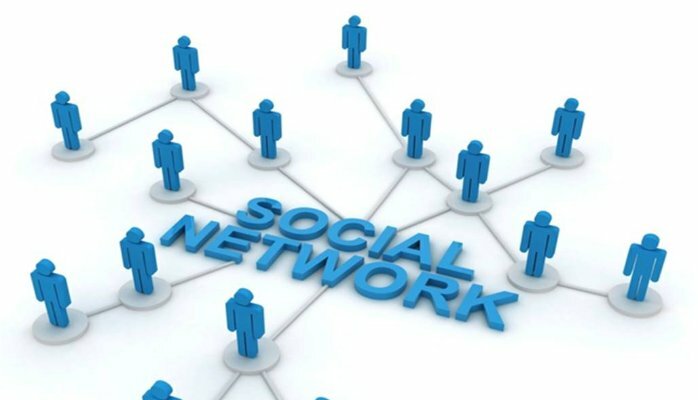 Social networking is already mature in project management, wikis (crowd sourcing information), and discussion forums. But these are often peripheral to the tools that many workers use to perform their primary job functions. We need to be looking at the social interactions that surround these tools to redevelop these tools to facilitate improvements in social interaction. Let’s explore where social interactions are poor in our work environments today. As our businesses expand across the globe, our teams are composed of workers who reside in different places and time zones. Remote interactions between non-collocated teams can be extremely challenging and inefficient compared to workers who can have regular face-to-face interactions with tools like white boards and pens. There is a huge opportunity for tablet applications to better support remote workers. As businesses scale, we may discover that the traditional organizational structures are too rigid to support the ever-accelerating pace of agility that we demand. Perhaps social tools can facilitate innovations in how workers organize themselves. As highly skilled and experienced workers mature, they become more capable of taking the initiative, making good decisions independently, and behaving in a self-motivated manner. Daniel Pink has identified that autonomy, mastery, and purpose are the intrinsic motivators that lead to happy and productive employees. Perhaps with social tooling, it is possible for organizations to evolve to take advantage of spontaneous order among workers instead of relying mostly on top-down management practices for assigning work. These are two ways in which social networking may apply to enterprises in ways that are not well supported today. All we have to do is examine the pain points in our work environments to identify innovations that may be possible. It is quite surprising to me that we are not already seeing social tools revolutionize the work place, especially in the technology sector where start-ups do not have an entrenched culture and management style. Spot on; it is a surprise. I am especially attracted to your linking of Pink’s A/M/P as a way to measure the success of professional collaboration tools.